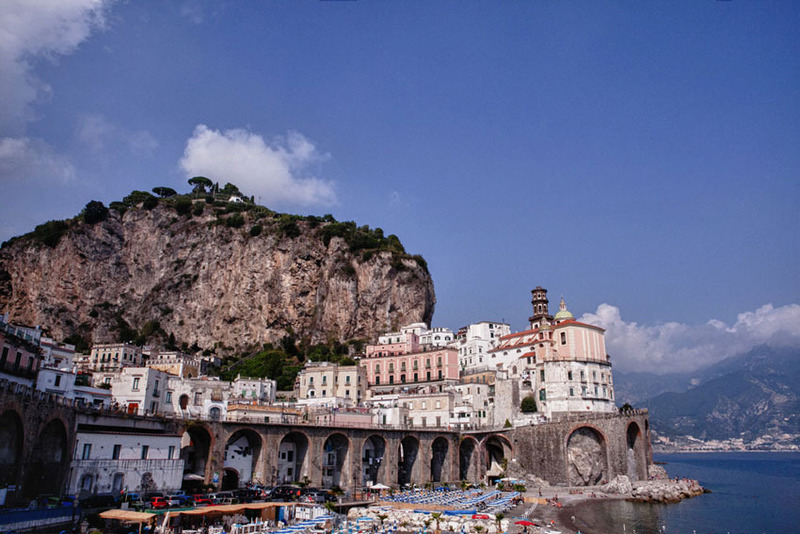 Choose to get married in Amalfi, the main town of the Amalfi Coast, surrounded by dramatic cliffs and stunning coastal landscapes. 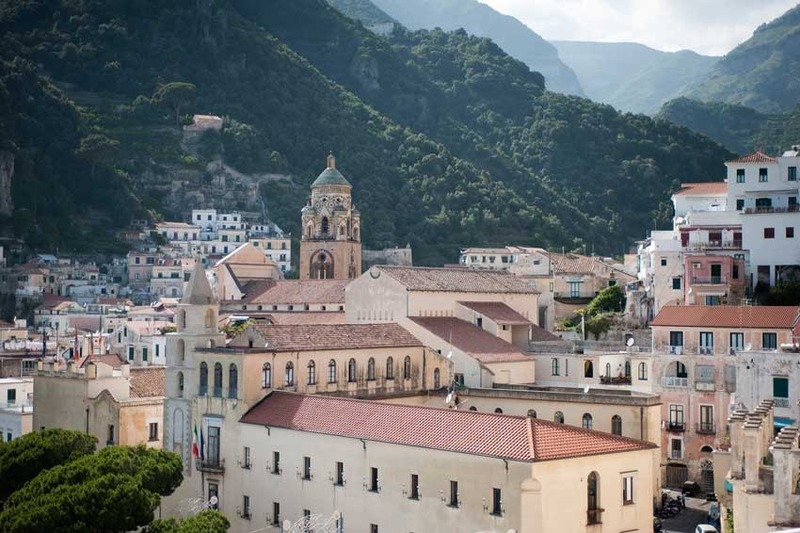 An independent port since 8th Century, Amalfi stands out perched on the rocky cliffs of the Lattari Hills, displaying its intricate web of alleys and sudden breath-taking views and offers the perfect setting for a romantic destination wedding in Italy. The rich green vegetation is highlighted by the bright yellow of fruits in the vast lemon orchards, while the delicate, Arabian-shaped small white houses show up against the clearest sky and the deep blue of the sea, narrow streets among arches and ancient Saracen towers. 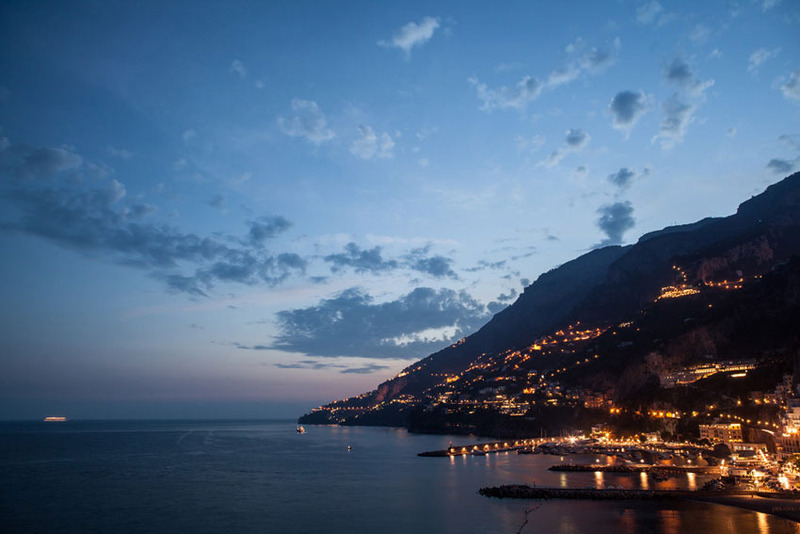 The town offers many refined and traditional venues for a romantic Amalfi Coast wedding. A civil ceremony with legal validity can take place at the local registry office, located in the very heart of town in an historical building facing the sea, or at the Arsenals that belong to the town’s tradition and have and have been preserved since the Medieval times. The magnificent Duomo of St. Andrew offers a magnificent setting for catholic weddings in Amalfi to couples coming from all around the world, not far from the center of Amalfi there is also a beautiful Baroque church that can be used for protestant wedding ceremonies. Last but not least, many fabulous hotels with panoramic terraces and towers are suitable for intimate protestant and symbolic wedding ceremonies in Amalfi. More information on Amalfi Coast weddings are available – please contact us.